Deputy Chief Jerome Taylor is the Commander of the Investigations and Community Outreach Bureau. The Bureau consists of a variety of divisions that accomplish various multifaceted functions in support of the Charleston Police Department’s overall Strategic Plan. 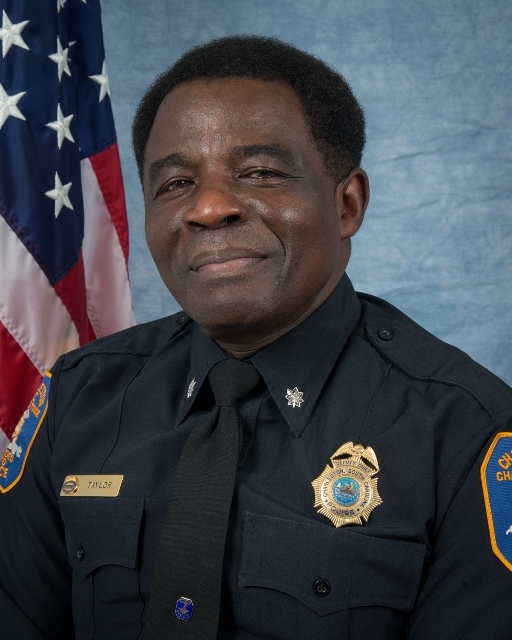 He has served the Charleston Police Department in many capacities that include; Interim Chief of Police, Commander of Operations Bureau, Commander Special Operations Bureau, Commander of Central Investigations Division, Commander Uniform Patrol, Deputy Bureau Commander Administrative Services Bureau and SWAT Team Commander. He served as an Assessor with the Commission Accreditation for Law Enforcement. Deputy Chief Taylor is strategically focused with many community and professional organizations. He strongly believes a collaborative initiative between the community and law enforcement is essential in addressing issues and establishment of a healthy community. Deputy Chief Taylor has received numerous community awards, including Omega Psi Phi Fraternity, Inc. Scroll of Honor. A Navy veteran he served in Vietnam. Upon being discharged he continued to serve the Navy Reserves Forces. He was recalled to active duty during Desert Shield/Storm and was awarded several military commendations. He retired as Chief Petty Officer of the United States Navy. He graduated from Bonds-Wilson High School, received a Bachelor of Science Degree in Education from Southern Illinois University, a Master of Arts Degree in Management from Webster University, and he is a graduate of the Federal Bureau of Investigation National Academy. Deputy Chief Taylor’s professional and fraternal affiliations include Life Member International Association Chiefs of Police, National Organization of Black Law Enforcement Executives, FBI National Academy Associates, Member Omega Psi Phi Fraternity, Inc.
Deputy Chief Naomi Broughton was born and raised in Charleston, S.C. and attended Chicora High School. After high school she attended Baptist College at Charleston and received a Bachelor of Science Degree with a Major in Criminal Justice and a Minor in Physical Education. Deputy Chief Broughton joined CPD in 1985 and was assigned to Team One. After Team One she was assigned to the Mounted Patrol where she was promoted to the ranks of Corporal and Sergeant. After serving twelve years in the Mounted Patrol, she was transferred to the Desk where she served in the capacity of a Desk Sergeant. In 1998 she was transferred to Team Two and served as the Administrative Sergeant. In 2000 she earned a Master of Arts Degree at Webster University as well as completed the Police Executive Course at the Southern Police Institute in Louisville Kentucky. In 2000 she was promoted to the rank of Lieutenant. As a Lieutenant she has served as Team Four Commander, Team Five Commander and an Administrative Lieutenant. In her career at Charleston Police Department she has represented the Police Department in many National and International exchange programs including Australia, Holland, Israel and the United States. In 2006 she was promoted and became the first female Captain of the Charleston Police Department. She served as the Captain of the Special Operation Bureau which consists of Homeland Security, Disaster Response, SWAT, K-9, Bomb Team, Traffic, Dive Team, Honor Guard, Crisis Negotiation, and Pipe Band. In 2015 she was promoted and became the first female Major of the Charleston Police Department. 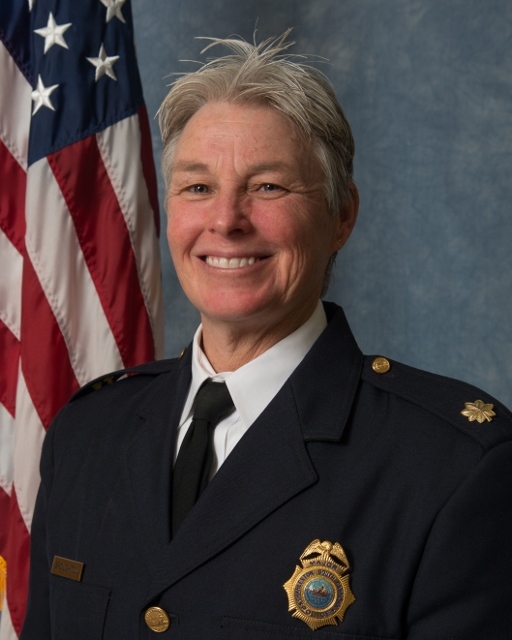 She served as the Deputy Bureau Commander of the Investigations, Community Outreach and Support Services Bureau which consists of Central Investigations, Special Investigations Unit, Forensic Services, Crime Intelligence Operation Center & Special Projects, Support Services, Professional Development & Training and Community Outreach. In 2016 she was promoted and became the first female Deputy Chief of the Charleston Police Department. Deputy Chief Broughton is currently the Bureau Commander of the Operations Bureau which consists of Patrol Teams 1, 2, 3, 4, 5, 9, Special Events & Secondary Employment and Special Operations (Traffic, Transport, K-9, Harbor Patrol, School Resource Officers, School Security Response Team, SWAT, Explosive Devices Team, Crisis Negotiation Team, Underwater Response Team and the Civil Disturbance Unit). Deputy Chief Broughton is a retired Chief Marine Science Technician in the United States Coast Guard Reserve. In her twenty three years of service she obtained the rank of Chief Petty Officer and was chosen as one of the members of the first group of the Coast Guard to respond to Iraq to assist the Army in Operation Iraqi Freedom. In April 2003, she was chosen as the Coast Guard Enlisted Person of the Year. Deputy Chief Naomi Broughton has 33 years of Law Enforcement experience.